South Australian-based Narisha Cash is a proud Aboriginal woman who has dedicated her life to sharing her culture through art. Cash is this week’s Changemaker. She spoke to journalist Xavier Smerdon. 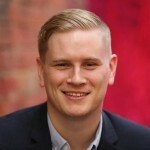 Cash is the Community Arts and Youth Engagement Officer at Tandanya Aboriginal Cultural Institute, a Not for Profit organisation and Australia’s oldest Aboriginal-owned and managed multi-arts centre. 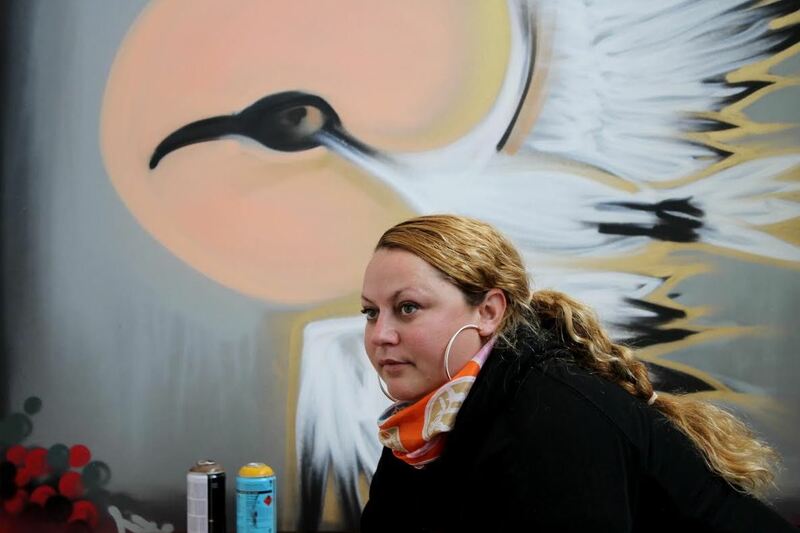 For the past 10 years Cash, a self taught aerosol artist, has been connecting people, particularly disadvantaged youth, to Indigenous culture through her art. She recently received the Gladys Elhpick Award for Dedicated Service to Youth Through Culture and Community and is nominated in the Inspiration category of the Pride of Australia Medals. As this week’s Changemaker Cash shared with Pro Bono Australia News what inspires her and how it feels to make a difference in people’s lives. Explain to me a little bit about your background. I’m descended from Jingili and Mudburra people from the Northern Territory, which is around the Katherine area. My nanna was actually part of the Stolen Generation. I pretty much grew up in Adelaide myself. So how does that background influence what you do at the moment? I understand you work in youth education, is that right? I work in an Indigenous organisation but the work that I do extends not just to indigenous kids but to all kinds of kids, particularly those at risk. I’ve been out to communities in remote and regional areas, but metro areas is where a lot of my work is based. The majority of the work I do is with Aboriginal kids. And is that something that you always wanted to do? Well it’s funny actually. It’s kind of like the work found me. My background is that I started working at Carclew Youth Arts, which is a Not for Profit organisation. My role there was around Indigenous youth arts and I was mentored by Lee-Ann Buckskin. I was there for about three or four years before moving to my position here at Tandanya. The position of Community Arts and Youth Engagement Officer was actually created for me and that’s what I’m currently doing. Your self taught in aerosol art I understand? Yes. I mainly do aerosol art and that’s kind of extended into other aspects of traditional art. But when I do the more traditional art it is more inclusive of the elders. I have the elders and cultural guides involved so that the participants get an understanding through the elders that it’s not just writing on the wall, there is significance behind the work and that we’re mindful of what we’re creating and respectful to the culture. So can you explain a bit about the work that you do? Is it basically holding art classes with children and teaching them about Indigenous culture? Not really. What happens is, for example, we get funding to coordinate a project or a program and then I devise what the program is going to look like. It could be something like what we’re doing at the moment which is looking at holding a series of workshops for elders. That’s not going to include aerosol art but that’s something that eventually down the track that I’d like to look at. What is it about art and artistic expression that you enjoy? For me, and this is what I teach a lot of the kids too, it’s an outlet for self expression. The thing is, with our culture you've got dance, you’ve got music, you’ve got visual art. Those repertoires I think are very similar to hip hop where it includes dance, music and art. I think a lot of young people can relate to that and for me that avenue of painting is really powerful. I’m not a very confident person when it comes to standing on stage in front of a microphone but I feel very very confident and comfortable to be able to express myself on a wall. To really make a difference in some bland areas, whether it’s in the city or in a community, it really excites kids to be able to see some colour. Have you always been involved in art? I’ve always been driven, even since primary school, just to draw and draw. That’s another thing I teach kids, just to carry around a sketch book and jot things down. Some people can do it with words but I’m a visual person. I like to create images that come into my head. Even at home I have canvases and I’ll muck around with those. It’s just important to constantly have an outlet because I can’t sit still and not do anything. That’s the beauty with spray paint, it’s such a quick medium and it covers everything. For me it’s just great because it’s so quick and you’re doing it on a big scale where it has more impact. I really love to come up with concepts and different imagery and patterns. How important is it for kids, not just Indigenous kids, to have a knowledge of and access to art? It’s absolutely necessary. It goes way back into our culture from day dot. There’s always been that avenue of expression as a way of telling stories. It’s also a way of enhancing the culture. Everyone sees that traditional Aboriginal painting is dot painting but it’s so much more than that. From the top end to down here there is so many varieties of style, and then to look at it from the contemporary form of art as well, to combine that with traditional styles, I think that really creates something different and exciting that not only young people can connect with visually but something that they can also draw on in their culture to find out something new about themselves. A lot of kids that are at risk don’t know where they’re from or don’t know what their family history is. There is a sense of disconnection which I think contributes to the way that young people feel. For me when I was young, connecting with my surroundings by drawing on them was one way I connected with my culture. It’s really important that we do have art as a tool, not just for mental health and health in general, but also to contribute and bring back something to the community. I’m a strong believer in each one teach one. So when I’m teaching kids, sometimes they teach me something that I haven’t thought of. It really is a two way street and that’s what I love about working with young people. They just want someone to listen to them and acknowledge what they’re saying. It’s really important to teach young kids that art is something they can turn to to interpret what they’re feeling instead of turning to grog or something. Some of the best work I’ve done myself has been when I’m under pressure or when things aren’t going the way they should be. I understand that you recently received the Gladys Elhpick Award for Dedicated Service to Youth Through Culture and Community. How did it feel to be awarded that? It was mind blowing. I’ve been doing this work for around 10 years now and it’s nice to be acknowledged but for me I think the best thing is actually the happiness I get from the kids when they achieve something that they’re proud of. That’s what it’s all about for me. It’s about making a difference to other people’s life but it’s lovely to be acknowledged because it lets me know that what I’m doing is worth it. I’ve never done it for the money, I’ve purely done it for the love and to be able to pass something onto someone else and for them to value it. Hopefully some of the kids I’ve been working will go on and follow in my footsteps and we’ll see another generation of amazing artists. Hopefully I’ve made a difference. That’s all that matters at the end of the day. What is it that inspires you the most? Is it seeing the kid’s reactions or being able to pass on a bit of your own culture? I guess a lot of inspiration comes from the women around me. My mum is no longer with us but she was a huge inspiration. My daughter is another one of my biggest inspirations. At the end of the day though it’s the kids. I just love seeing them connect with something that’s new to them.